For the second time this year, they’re holding another Beauty-Filled event, delivering the best skincare, makeup and haircare brands under one roof for you to enjoy the whole day. 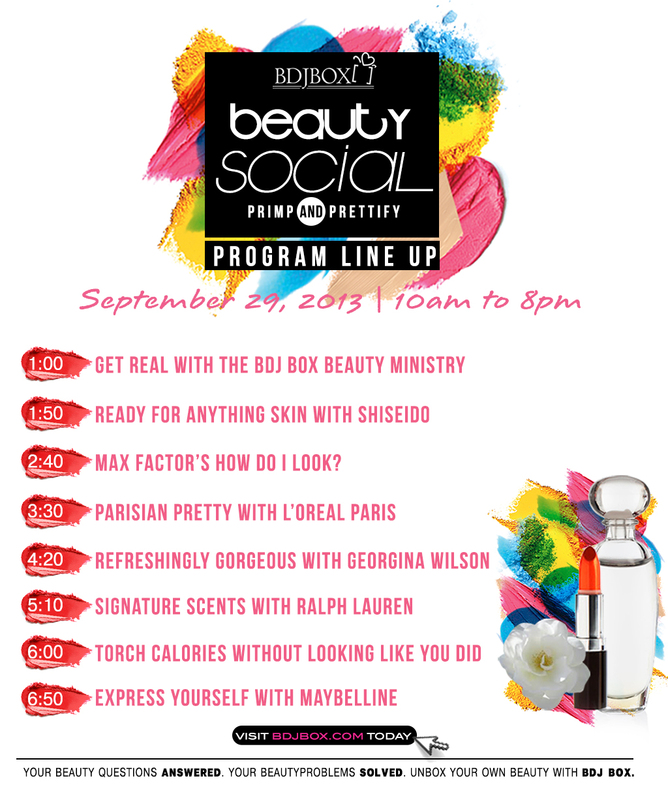 Their lineup of beauty brands — Shiseido, Too Cool for School, Lucido-L, Bifesta, Celeteque, Yves Rocher, L’Oreal Paris, Ralph Lauren Fragrances, Revlon, Max Factor, Maybelline, Covergirl and Garnier – will definitely excite everyone who goes to the BDJ Box Beauty Social! Sadly, I can’t join this event because I’m too far and too busy with school works 🙁 But I hope you guys would join this event, I know this one’s gonna be fun!